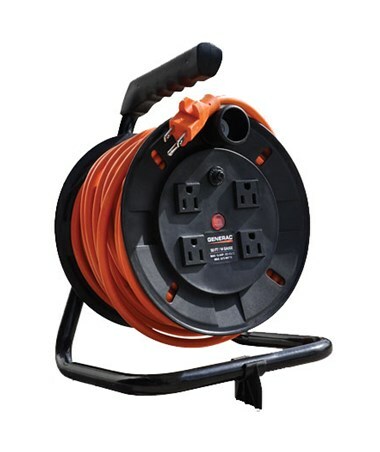 The Cord Reel Kit for Generac iQ2000 Inverter Generator is a UL approved generator accessory that works with the Generac iQ2000 inverter generator. This cord and reel kit helps homeowners to use appliances and charge devices while placing the generator at a short distance. Featuring a 4-15 amp wattage current, it also consists of a steel frame with four easy-access 125-volt outlets that power any device. 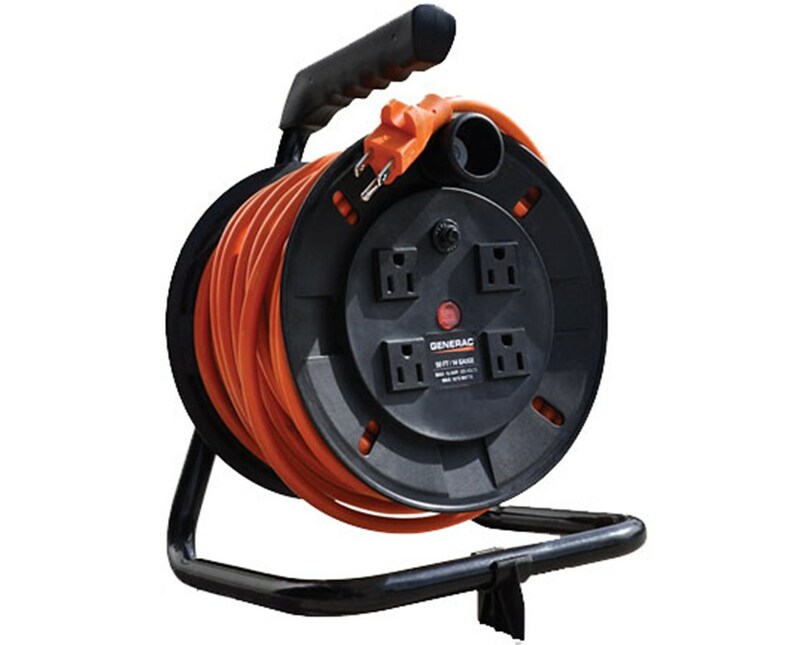 In addition, the Generac cord reel kit has a 50-foot 14-gauge retractable cord that can be easily unwound depending on the needed extension length.